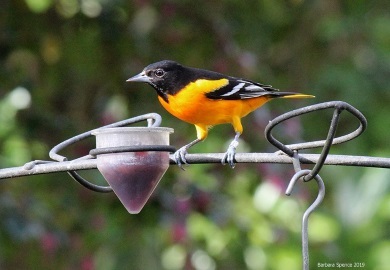 Survey participants count and record the largest number of Baltimore Orioles they can see at one time, on one, two, three or all four days of the survey period. Even if you are not able to participate during the count period, we would still like to collect your numbers. You can participate in the survey by either requesting an SCDNR survey form, or if you are a Great Backyard Bird Count participant, you can e-mail a copy of your checklist submission to SCDNR. For more information and to receive survey materials, contact Lex Glover at [email protected] For more information on the Great Backyard Bird Count, visit http://gbbc.birdcount.org/.